We don’t want to reply on internet only. So we used our own spoons from kitchen room. Here we got 2 spoons. 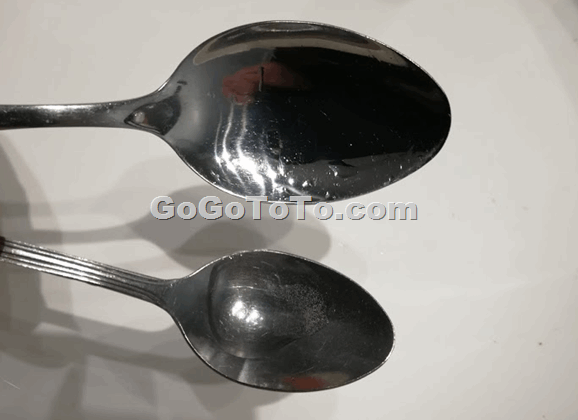 It looks like the big one is Tablespoon, the small one could be teaspoon. The most easy way is measure using water. Guess how many small spoons water can fill the big spoon? A tablespoon is a unit of measure equal to 1/16 cup, 3 teaspoons, or 1/2 fluid ounce in the USA. It is either approximately or (in some countries) exactly equal to 15 mL. 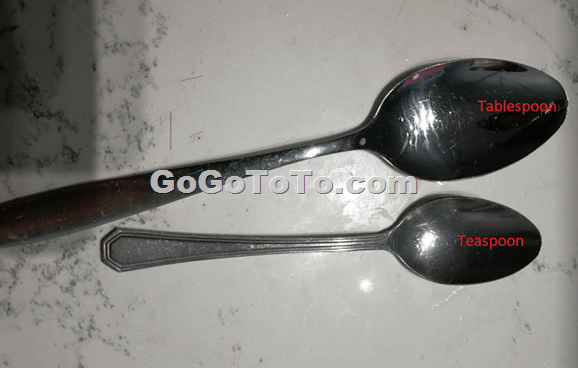 "Tablespoon" may be abbreviated as T (note: uppercase letter), tbl, tbs or tbsp. Previous Previous post: What is Standard Voltages in Canada and US Exactly ?